Consider this scenario: You are a small or medium sized business. You are in the market and customers like your service / product. This helps grow your business and have your brand accepted. However, this is NOT ENOUGH! You want to explore other ways of improving your business operations and performance without breaking the bank. If this is you, Cloud ERP is for you! The cloud has been a buzzword for many years now, and businesses have been using this technology to run different practices especially those with Human Capital Management systems or Customer Relationship Management systems (CRM). When it comes to running Enterprise Resource Planning (ERP) systems on the cloud, many businesses were shying away due to security fears. This is no longer a problem because of the vast improvements that have been made in the Software as a Service (Saas) field. Businesses are increasingly warming up to the integration of cloud based ERP system into their operations. According to the “Global Cloud ERP Market: Trends, Opportunities and Forecasts (2016-2021)” the growth rate for the period of 2016-2021 is expected to be at 8.30%. This market is being driven by a surge in adoption of cloud based ERP in every industry, ranging from retail to education, manufacturing and even healthcare. Cloud ERP is the Enterprise Resource Planning system that is hosted on servers or a platform, which can be accessed through the Internet. Instead of opening up programs installed on computers, you can access the ERP system from your web browser. With the cloud, you do not have to maintain software on your servers. Angani Limited gives you access to servers that we own and maintain. In addition software is delivered to you as a service you can access over the Internet. When running your ERP on the cloud, there are no unexpected costs because this SaaS service is offered on a pay-as-you-go basis. As a customer, you will know exactly how much this service will cost you for each billing period. This is an appealing aspect to smaller businesses whose funds are considerably minimal. The setup and management of the ERP SaaS system is our responsibility, which means there is no installation or setup process you have to handle. 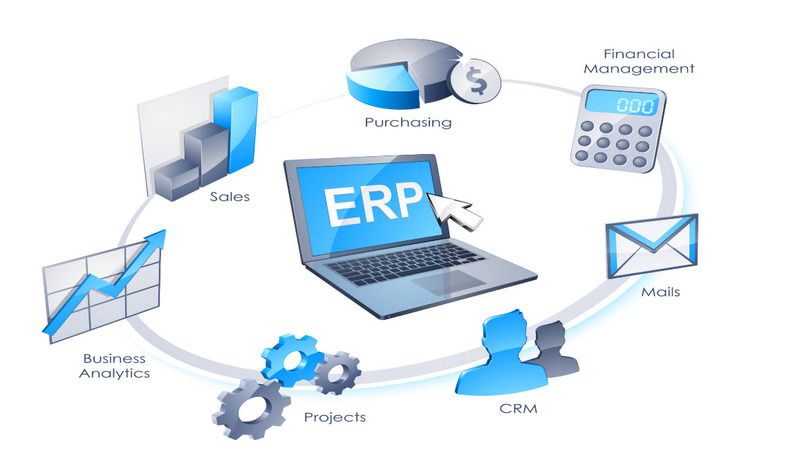 Most parts of the ERP are preconfigured, making them ready to integrate into your business. This leads to a simple and faster set-up process that leads to a faster Return on Investment (ROI) since your initial costs are considerably low. Since a SaaS ERP does not require a lot of hardware and maintenance, the costs of running are very low. The only maintenance cost is the fee you are paying for the service. What’s more, you can have the system expanded to meet your business needs by having more users added to your system. Running in-house ERP systems means having an IT department to deal with any problems that may occur on your hardware, software and network, which makes it hard to troubleshoot issues. Since many SMBs do not have the capacity to hire an in-house IT department, having a SaaS system rids you of any worry about system problems as we bear the responsibility for troubleshooting the system and important software upgrades. Having a cloud based ERP allows you to access your business data from anywhere and at anytime, provided you have an Internet connection. Your data is backed up frequently in redundant data centers, ensuring that recovery from a disaster is a speedy and simple process. As a small or medium sized business, running your ERP on the cloud is what you need to take your business to the next level. If you are exploring ways of improving your business efficiency and reducing costs click here and one of representatives will get back to you!